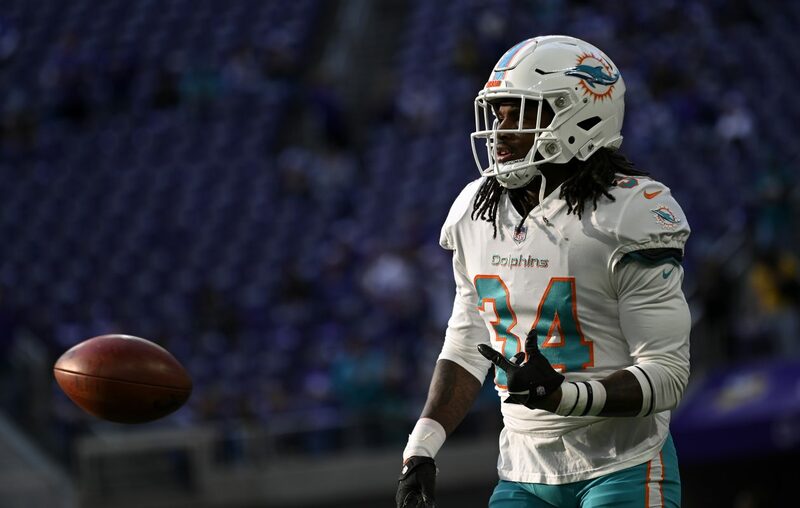 The Buffalo Bills exhibited their commitment to special teams Thursday by signing free-agent running back Senorise Perry to a contract. Perry, a 6-foot, 210-pounder, played the last two seasons with Miami. He entered the NFL in 2014 as an undrafted free agent with the Chicago Bears. Perry led the Dolphins in special teams tackles last season with nine. He played 301 special-teams snaps, according to Pro Football Focus, which would have led the Bills last season and ranked 60th in the NFL. Perry was third on the Dolphins in special teams tackles in 2017. In his one season on the field with the Bears, 2014, he led Chicago in special teams tackles. The Bills two weeks ago bolstered their special teams with the signing of return specialist and wide receiver Andre Roberts. He made the Pro Bowl last season and led the league in kickoff return yards for the New York Jets. Perry, 27, will fight for a backup running back spot with the Bills. He did not have any rushing attempts for Miami last season. In 2017, he rushed eight times for 30 yards. He was viewed as a one-cut backup running prospect coming out of Louisville in 2014. He made six college starts and rushed for 706 yards and six TDs as a college senior.